Dear Friends, we are very sad to share the news of the passing of Patricia Giuliani who served as a member of our advisory board for many years. An incredible fighter, Patricia was diagnosed with mantle cell lymphoma 14 years ago and survived two bone marrow transplants, against all odds. 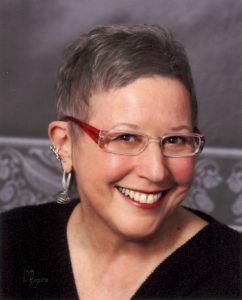 Patricia was a person of many wonderful traits, but we knew her best for her over-arching concern for her fellow humans, her tenacity, humor, and loving spirit and for beating back cancer. Patricia’s devotion, her vision, and generosity have greatly shaped the Cancer Lifeline of today and we will forever be grateful for her support and friendship. Our hearts go out to her husband David and to her family. She will be greatly missed. To give a gift in memory of Patricia, please click this link.